Sharon Farrow is also the co-author of the Agatha nominated Eliza Doolittle and Henry Higgins Mysteries written under the joint pseudonym D.E. Ireland. A freelance writer since her twenties, she has been published in mystery, fantasy, and romance; one of her short stories has been optioned for film. 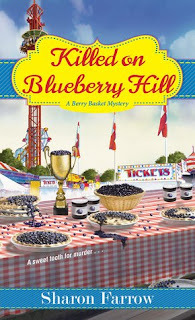 Sharon currently lives along the beautiful Lake Michigan shoreline where the Berry Basket series is set. Visit her online at sharonfarrowauthor.com, on Facebook @SharonFarrowAuthor, or Twitter @SharonFarrowBB. 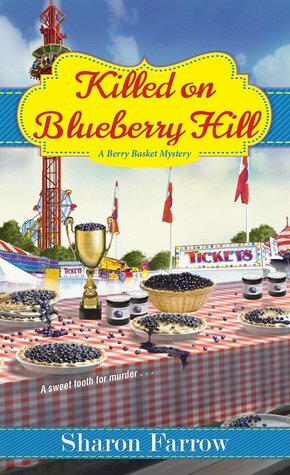 I was happy to get the chance to read the next installment in the Berry Basket Series. It was fun to get to visit our old friends in this quaint little town. I kind of like how you have the old feud between the Gale and Zellar families going on as a back part of the story. It gives us a little extra. The author did a great job describing all the little details. You felt like you are part of the festival. She also likes to throw in little curves so just when you think you have it all figured out you find out you are wrong. It took me until the end to figure it all out. I am looking forward to the next book in this series.